According to Pakistan’s National Commission for Human Development (NCHD), about 80% of deaths and 90% of illnesses in this country result from diseases which are considered preventable. If that statistic wasn’t startling enough, here’s another. Every ten minutes, a child dies in Pakistan from a disease that is preventable. Death by preventable disease. It makes it sound so much more tragic. Such a complete waste. A child’s death by preventable disease. Worse still. That would mean almost half the people of Pakistan’s biggest metropolis inhabit slums. Close to half of the children who die before they turn five fall prey to a preventable disease named diarrhea. over 2.6 billion people were living without access to improved sanitation facilities, and nearly 900 million people were not receiving their drinking-water from improved water sources. 88% of cases of diarrhea worldwide are attributable to unsafe water, inadequate sanitation or insufficient hygiene. Childhood malnutrition causes about 35% of all deaths of children under the age of five years worldwide; it is estimated that 50% of childhood malnutrition is associated with repeated diarrhea or intestinal nematode infections as a result of unsafe water, inadequate sanitation or insufficient hygiene. When you think of the disease, it seems so harmless, ordinary even. But then 2.2 million deaths of children in our world are preventable through improvements in hygiene behavior and in the provision of basic sanitation and safe drinking-water. I am so glad you wrote about this, being in medicine I am aware of this and we read and see this everyday. But it’s just sad how we choose to ignore and look for other things to talk about. Those who have money and means do it themselves else government doesn’t even care. such poor state. there is no value of human life in our country. Health education in schools at primary level is a quick cheap and effective way or making an impact. I the mid-90’s I used a school programme developed by a Lahore NGO in Nagar, north of Gilgit. Cutting a long story short we used the children to influence toilet habits at home. Getting them to wash hands etc after toilet in school was the first step, along with proper use of latrine. Boiling drinking water was another. Then we got families to construct twin-pit latrines and brought local LHV’s into the loop. We found that children were effective HE vectors. Of course you need a school to start with and an NGO or govt dpt to support the work as well as good-quality visual material to use in the classroom and the home (we later extended the programme to women in the community and hitched it to a literacy programme for adults) – but it is one area where simple interventions can make a substantial difference. I am out of the loop on the NGO side these days, but maybe this is something the Korangi project could pick up on, if it is still running? 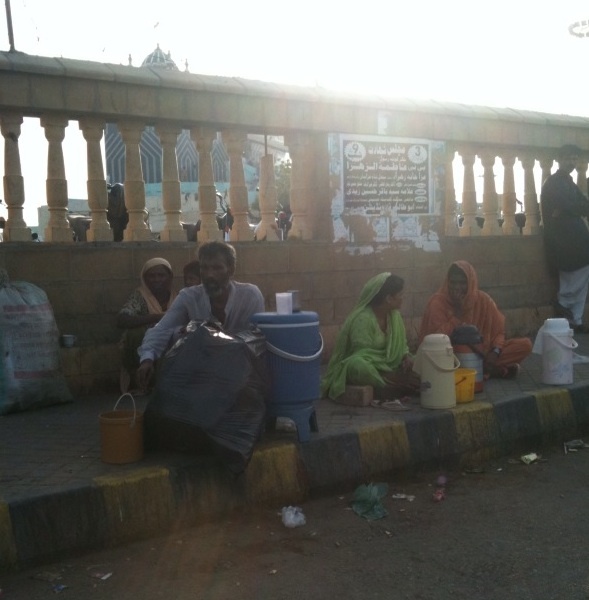 Adil Najam once conducted research that found that, during any given year, more children will die in Karachi because of dirty water alone than all the men and women killed in the battles and wars fought between India and Pakistan since Partition. According to Najam, for a mother who has lost her child, it doesn’t matter if the death came from the end of a gun or the end of a water-tap. Of course, with the population exploding, things are going to get worse. And it pisses me off no end when, for example, while in Karachi, that Mustafa Kamal did a great job putting in flyovers. As if getting to work 10 minutes earlier was more important than a thousand human lives. On the demographic issue – this is a battle lost, sadly, and lost years ago. Pakistan will survive the predations of its politicians and die of a surfeit of babies. 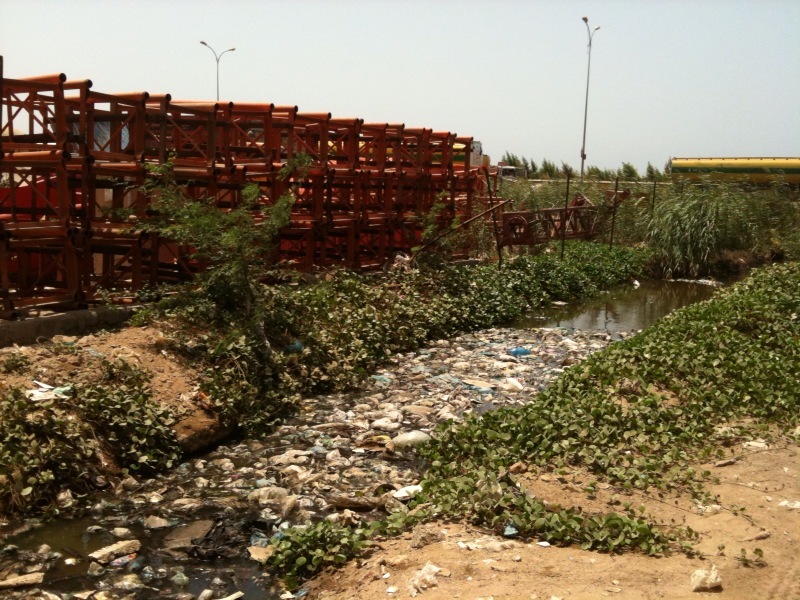 In most of our major cities, sewerage water is mixed with drinking water. unhuman situation.